The HIV virus is one of the causes of the global tuberculosis epidemic. According to the World Health Organisation, by 2015 there were 1.2 million HIV-infected people worldwide who received TB (source: KNCV Tuberculose Fonds). Today, we provided money for a 33-year-old gay man who, in addition to HIV, also contracted tuberculosis. Cambodia faces many health challenges. HIV is only one of them. Another relatively common condition is tuberculosis (TB). It happens regularly that someone has both HIV and TB, and that is not good at all. 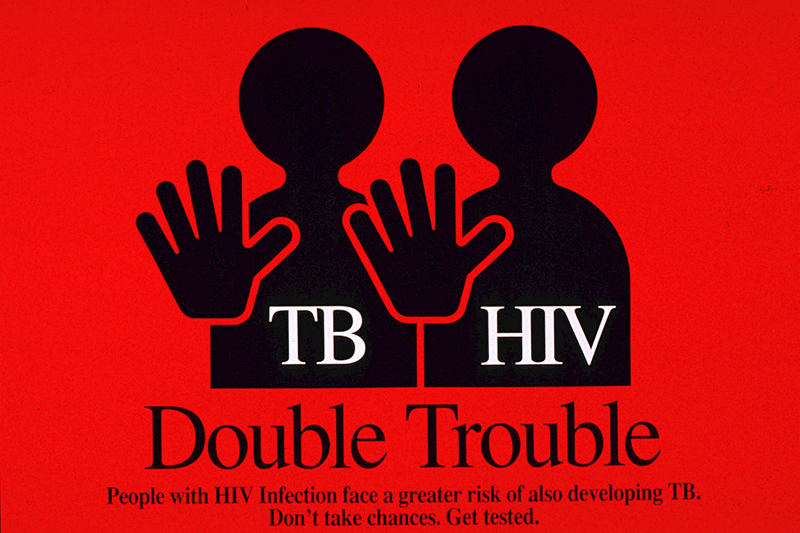 People living with HIV have a much higher risk of developing TB as a result of their weakened immune system. The risk is greatly reduced by antiretroviral therapy, but is still higher than in people who are not infected with HIV. People infected with HIV also remain vulnerable to recovering TB if they are re-infected. Like any infectious disease, tuberculosis undermines the already weakened immune system of HIV-infected people, accelerating the progression from HIV-infected to AIDS. If their TB is not diagnosed and treated quickly, it is often fatal. The only way to break through this life-threatening combination of tuberculosis and HIV is to treat both diseases at the same time (source: KNCV Tuberculose Fonds). In health care too, world politics comes into play, read this article about how Cambodia is increasingly coming within the Chinese sphere of influence. But the West also has its own interests. Last week, a volunteer from our partner organisation Bandanh Chaktomok reported they had found H.S., a 33 gay man. He is renting a house with a number of friends in the province of Battambang. Meanwhile, he has been admitted to a hospital where he has to stay for at least a month to be treated and to be strengthened. Besides HIV, H.S. also has TB. Treatment is therefore necessary. He couldn’t do his work as a servant in a restaurant anymore. Since only his father is still alive and he does not have enough money for hospitalisation and additional costs, Untenu was called in. We have made enough money available to pay for hospitalisation, medicines and food aid. Our Cambodian partner organisation recently had to lay off its three staff members because donors had to make savings. In order not to undo all the work and experience that has been built up, a collection campaign has been started on Facebook in order to be able to pay part of the personnel costs. Our aim is to pay someone for 50% of a FTE on a commission basis. That is more than enough to carry out our projects. This way, Bandanh Chaktomok will also have FTEs that can be used to strengthen its own organisation. This is also an objective of Untenu: to strengthen LHBTI organisations in Cambodia. You can contribute to this by donating an amount, or by sharing the action on the social media (both are also allowed, of course). All assistance is welcome and will help us to continue our work on HIV-positive LHBTIs in Cambodia.